The average person creates close to 4 pounds of garbage in a day. That means an average family of four could be tossing out up to 200 pounds of trash each week. That’s easy to take care of with your weekly garbage pickup. But what about those trash items that weigh a bit more or won’t fit into the garbage can? An old lawnmower is a perfect example. No matter how hard you try, you won’t be able to cram that into a trashcan the less you take it apart piece by piece. That’s not very practical. What is practical is bringing in the pros from Junk King Chicago West to take care of that old lawnmower and the rest of your unwanted clutter. 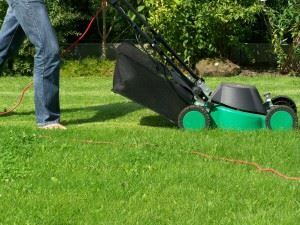 Even though that old lawnmower might have served you well over the years, the moment it stops working is a moment you need to get rid of it. There’s no reason to take a valuable space in your garage or tool shed with a machine that’s never going to be used again. Junk King will send over a pair of movers and a big truck capable of holding that lawnmower. Once the mower is loaded up, the crew from Junk King can set their sights on the rest of your unwanted clutter. What kind of stuff do you have in your backyard that you’d like to get rid of? An old hammock? A bird fountain? Patio furniture? Hot tub? Yes, there’s no end to what Junk King Chicago West can haul away. Although your focus might be on all the backyard debris, you can also ask the Junk King team to remove any bulky items from inside of your home. This is a great chance to clear out the spare room to make into a bedroom for holiday guests. All those old pieces of furniture, appliances and other boxes of rubbish you have in the garage can all be packed onto the back of the Junk King truck. Its how the truck will be packed that will determine what price you’ll pay. This is an estimated fee that will be presented to you by the crew once they’ve size up all the things you want to get rid of. Getting rid of an old lawnmower and unwanted clutter is not a challenge when you’ve got Junk King Chicago West on the job. This entry was posted in Carol Stream Junk Removal and tagged junk king, junk removal, lawnmower on September 25, 2017 by Junk King. Last updated September 25, 2017 .